In what comes as a relief to five families, Sri Lankan President Mahinda Rajapaksa has agreed to pardon and release the five Tamil fishermen serving a death sentence for drug smuggling in the island nation. 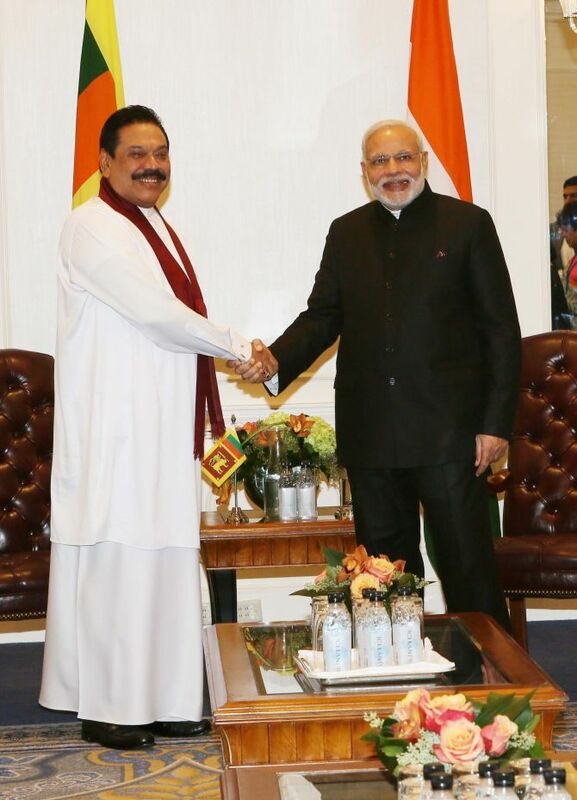 The decision comes days after Prime Minister Narendra Modi spoke to the Sri Lankan president where it was agreed that the fishermen would be transferred to an Indian jail. Sri Lankan MP and Deputy Minister of Telecommunication and Information Technology Prabha Ganesan has said that he was asked to convey to the Indian high commission in Sri Lanka that the president was willing to pardon and release the five fishermen without any conditions within two or three days. “Was asked to inform the Indian high commission to withdraw/cancel their appeal against the death sentence as the case would otherwise drag out for months,” Ganesan said. “An appeal was being filed against the death sentence in the court of appeals by the lawyer engaged by the Indian high commission. It is a delicate matter,” Ministry of External Affairs Spokesperson Syed Akbaruddin had said. However, Sri Lanka has maintained that it is not scared of the appeal. The five accused -- Emerson, P Augustus, R Wilson, K Prasath and J Langlet -- were sentenced to death by the Colombo High Court on 30 October on charges of drug trafficking. Last week, the Indian High Commissioner to Sri Lanka Yash Sinha met the five Indian fishermen at Colombo's Welikada prison and assured them of every effort to secure their early release and repatriation. The case dates back to 2011 when the five fishermen set out to fish from Rameswaram and were apprehended by the Sri Lankan Navy on the charge of possessing narcotics.